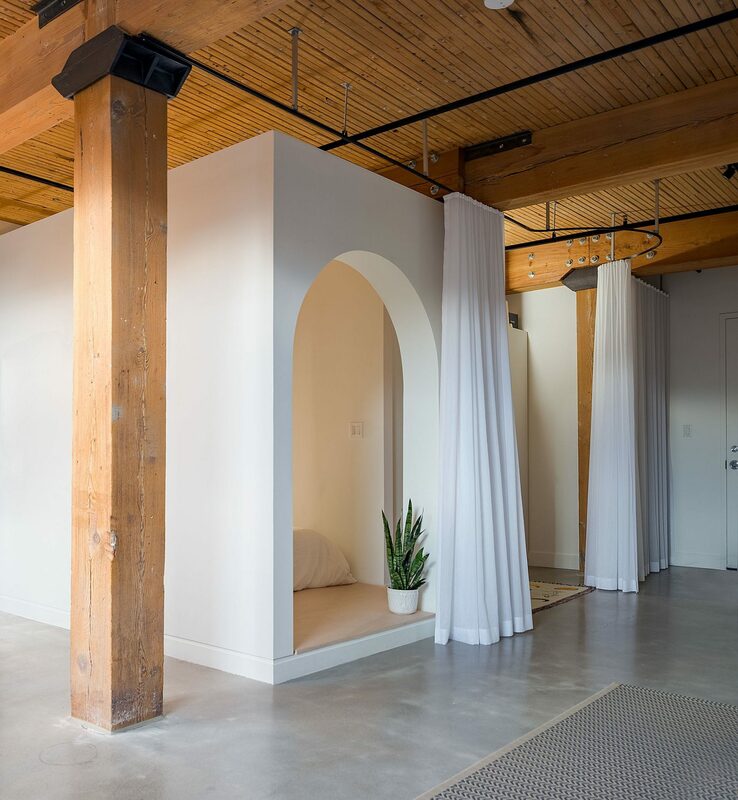 Interiors can get boring at times in terms of overall symmetry even if styles and trends vary. 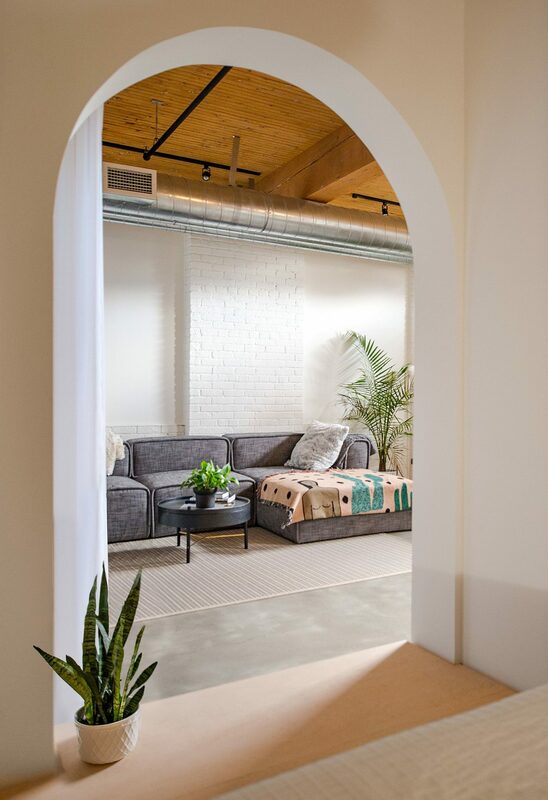 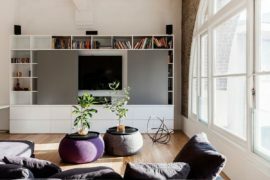 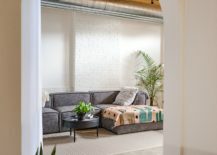 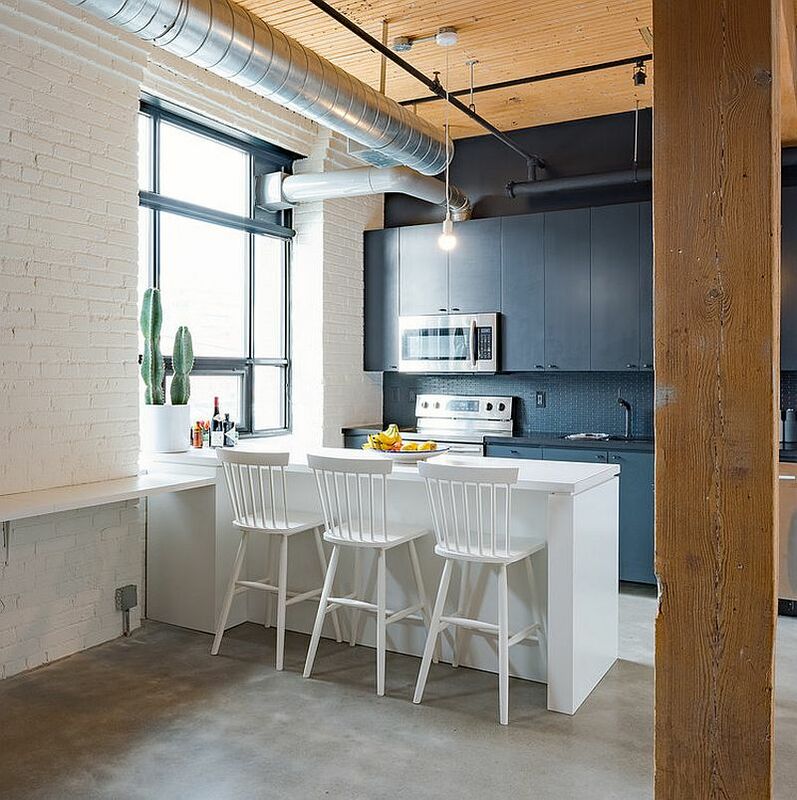 It is a dash of ingenuity that brings freshness to homes and with a box-styled bedroom that is also space-savvy, this modern loft in Toronto takes the less-trodden path. 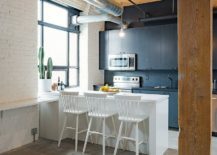 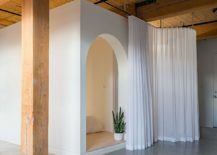 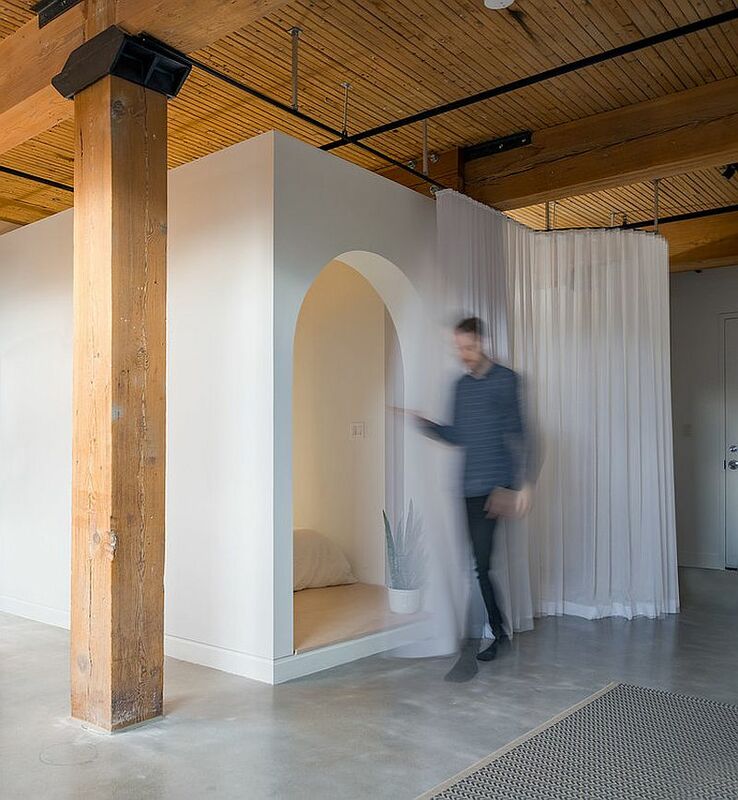 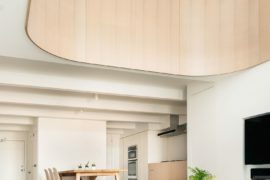 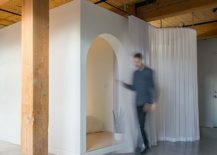 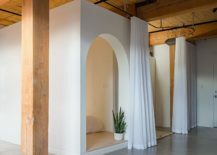 Designed by Studio AC, Broadview Loft moves away from the mundane with an open plan living that is only disturbed by a super-organized kitchen in the corner and a bedroom that looks more like a large white box. 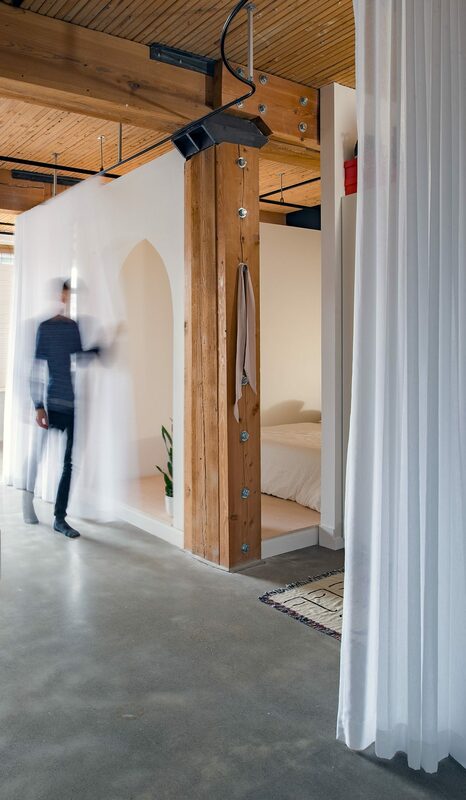 Instead of using traditional walls and doors, the cheerful bedroom feels much more casual and classy as its white walls and large white curtains create a clear demarcation of space. 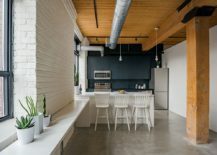 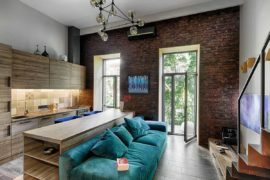 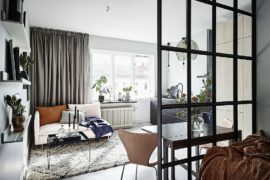 The apartment has a cool, modern industrial vibe with brick walls painted in white and a largely neutral color scheme creating a balance between existing rough elements and modern finishes. 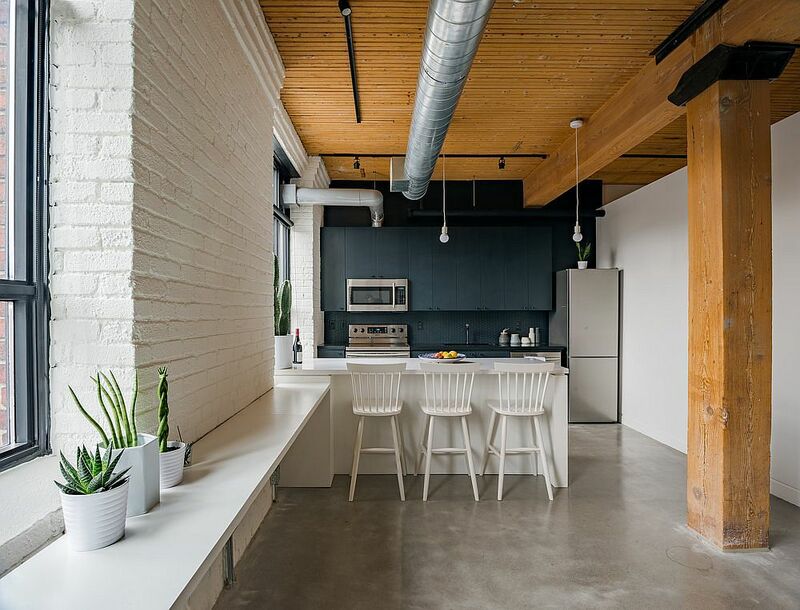 Track light and high ceilings accentuate the industrial appeal of the loft with the open plan living relying on minimalism and a curated collection of décor to set the right mood. 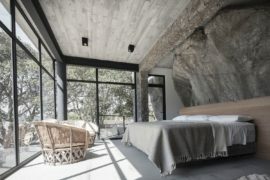 Large windows bring in plenty of natural light even as the bedroom, which is the true showstopper here quietly, sits in the corner. 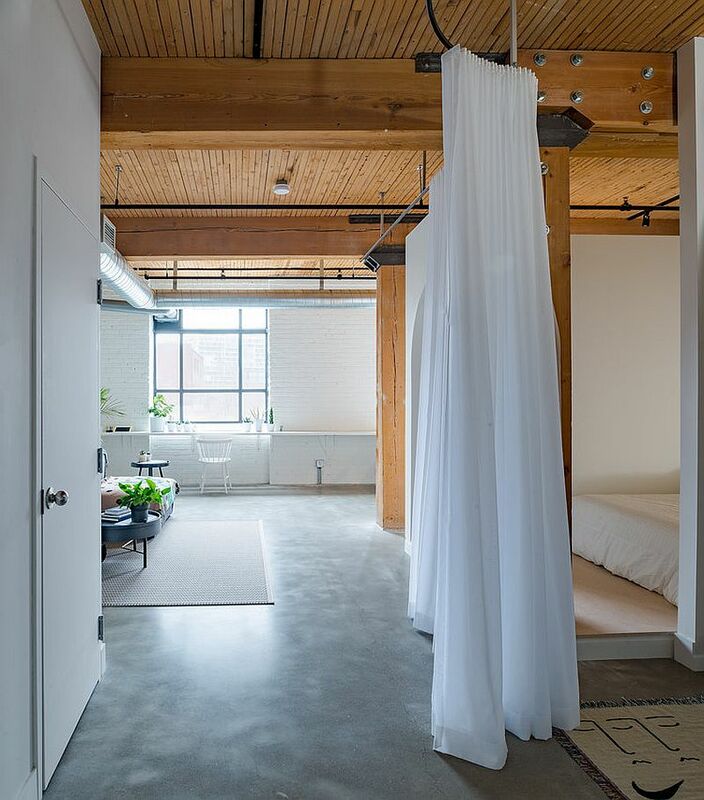 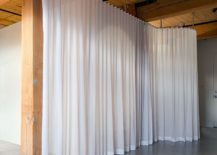 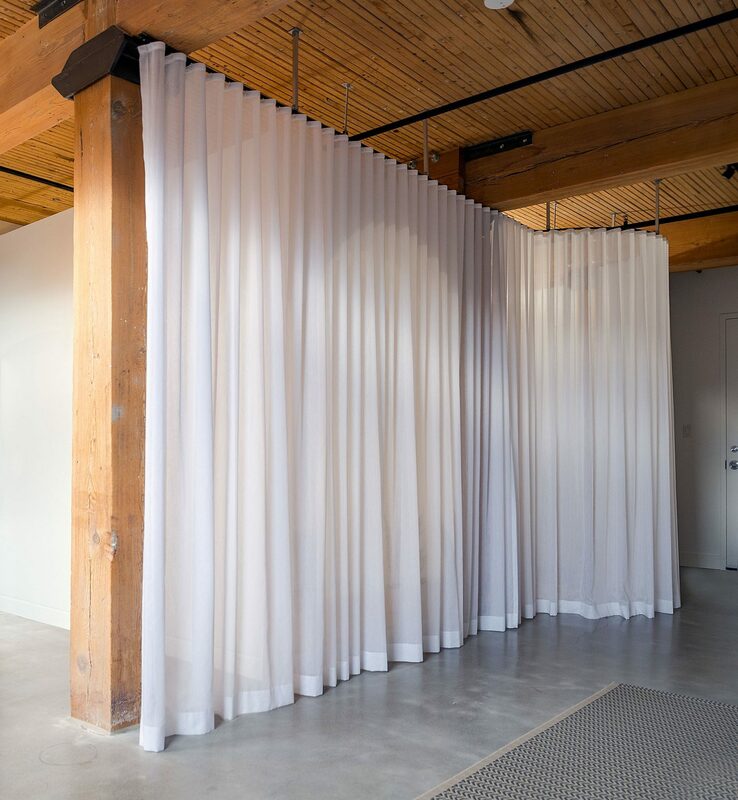 Drapes simply slide open to reveal both the bedroom and the bathroom. 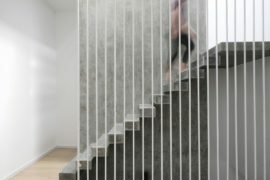 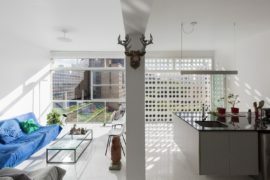 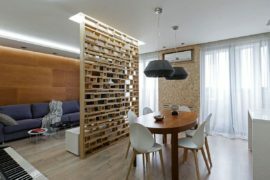 RELATED: Space-Savvy Urban Apartment Designed for a Couple and their Cat!